A paint inspection — Tells you the lead content of every different type of painted surface in your home, but does not tell you if the paint is a hazard or how to deal with it. This is most appropriate when you are buying a home or signing a lease, before you renovate, and to help you determine how to maintain your home for lead safety. 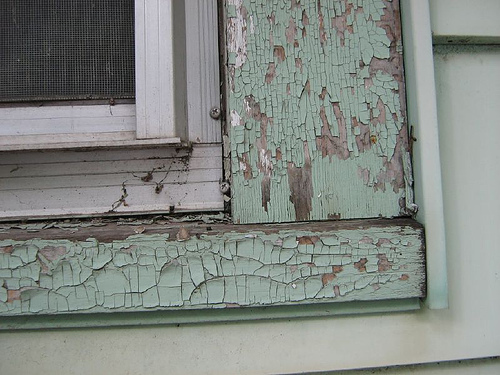 A risk assessment — Tells you if there are any sources of serious lead exposure such as peeling paint and lead dust, and tells you what actions to take to address these hazards. This is most helpful if you want to know if lead is causing exposure to your family now. The video gives vital information on lead and how you can become more aware of the dangers of lead poisoning. If there is lead paint in your home, seek professional help. Alliance Environmental is a certified lead-removal contractor. We follow strict procedures to minimize, control and contain the lead dust created by the removal process.Our team is trained in lead safe work practices of proper containment and removal, thorough site decontamination, and lawful disposal.